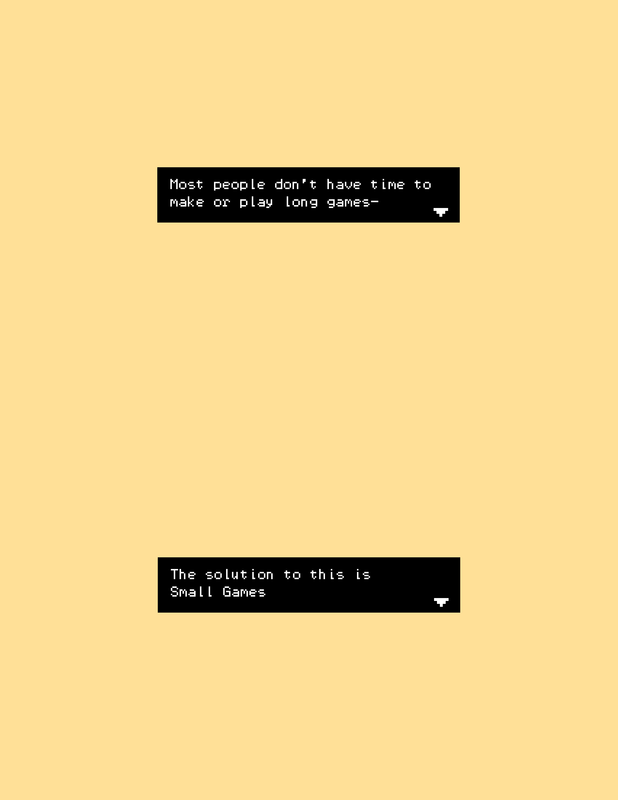 A Manifesto for the Small Games Movement, or a bunch of nonsense I think is important & hope to see in the game development community in the future. 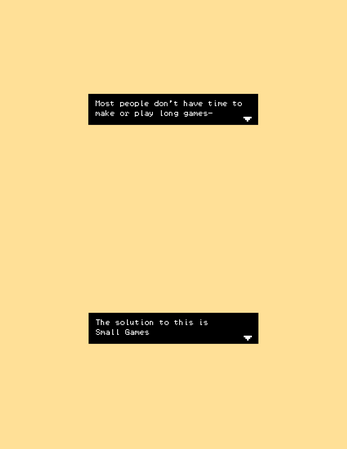 Most people don't have time to make or play long games- The solution to this is Small Games. 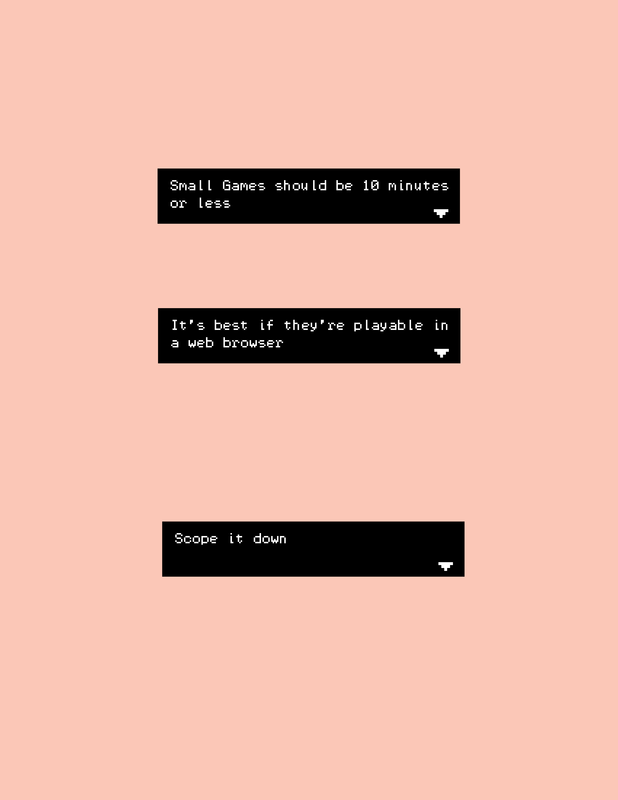 Small Games should be 10 minutes or less and it's best if they're playable in a we browser. 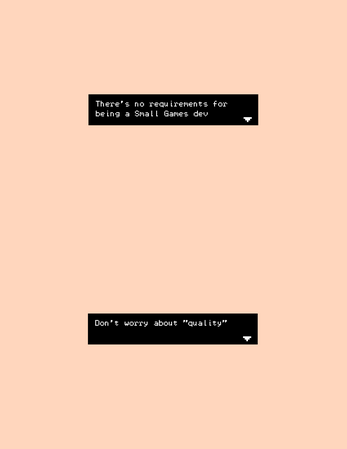 There's no requirements for being a Small Games dev. Be sincere and personal in your work. Games should let you experience something you can't in real life. Make games you want everyone to play. Make games you want only one person to play. 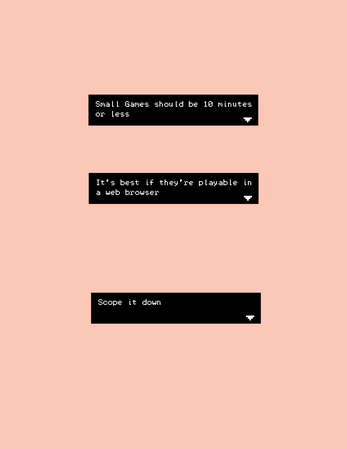 Make you games and tools accessible. Support your fellow game makers & tool creators. Bring new people into the development scene. Agree with this so much!